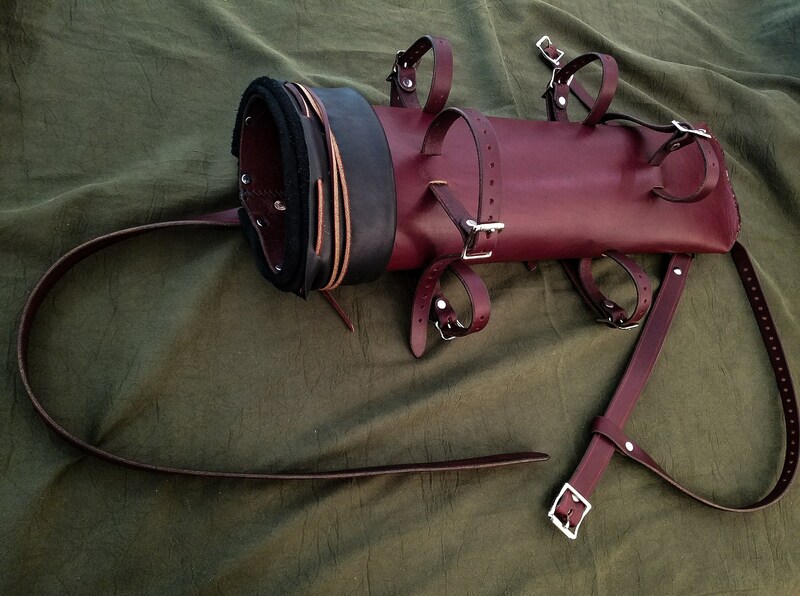 This listing is for the "premium" or "deluxe" model of quivers that I make. 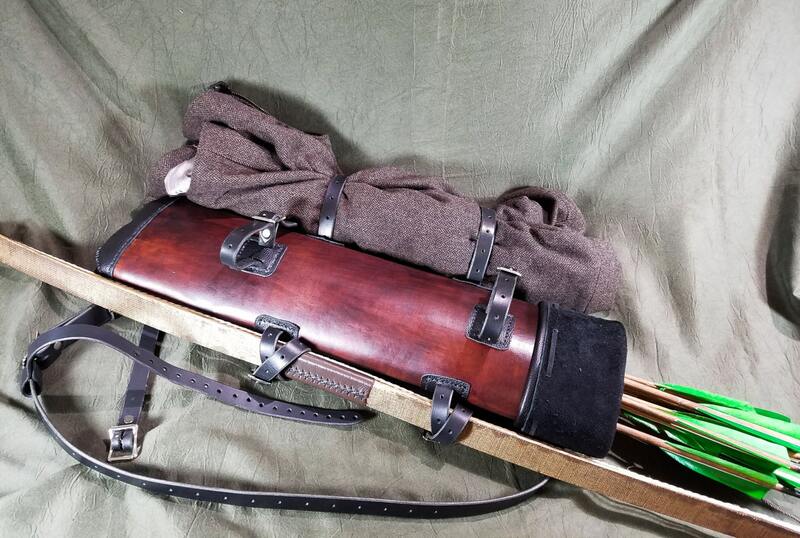 Each version of the quiver features an adjustable 3 point harness that keeps it very steady on your back and can be adjusted for right or left handed archers. 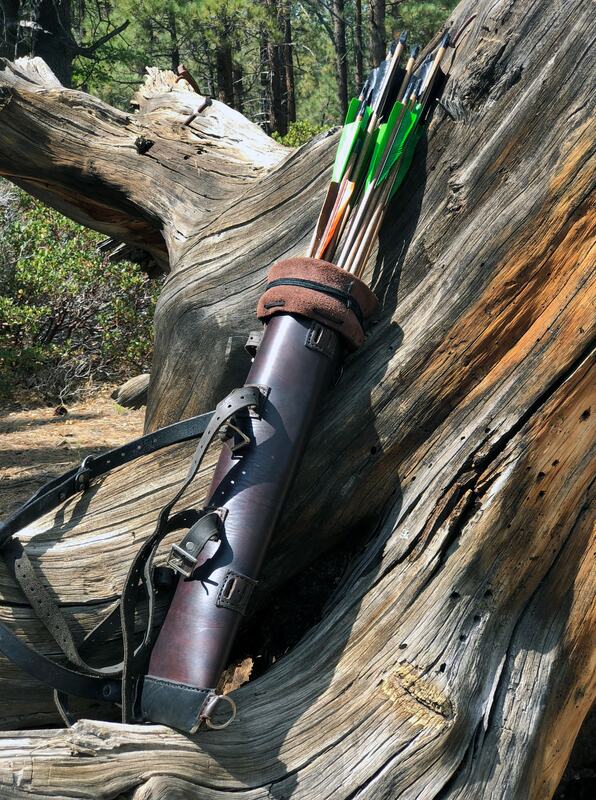 The quiver itself holds 2 dozen arrows comfortably. 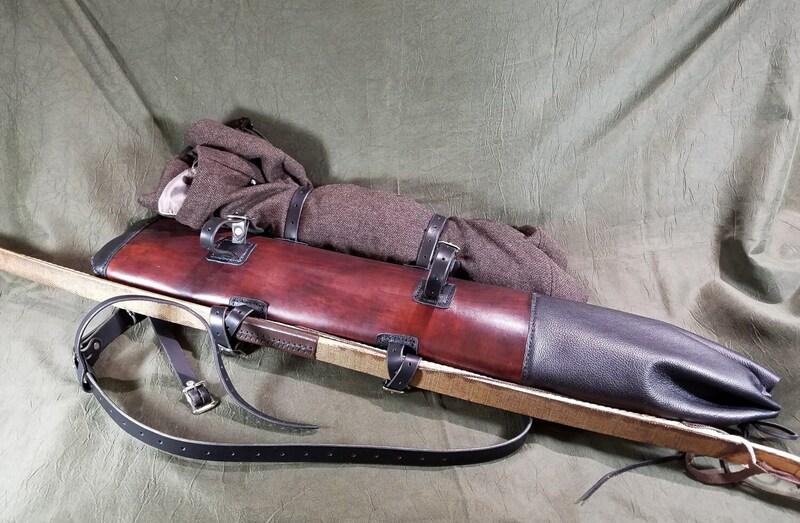 One feature that can be added are 6 utility straps on the body of the quiver for bow/bedroll/rope/whatever you need for your journey. 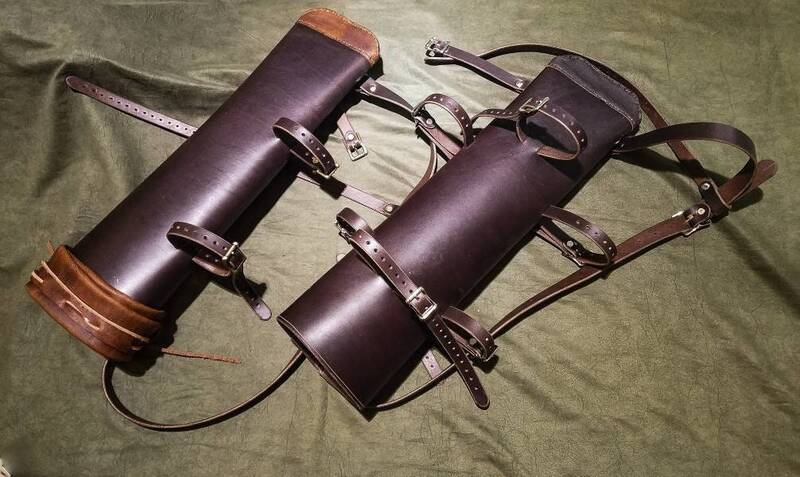 The other available feature is a soft leather guard that rolls out over the arrows to protect them from weather/ keep them silent while stalking. 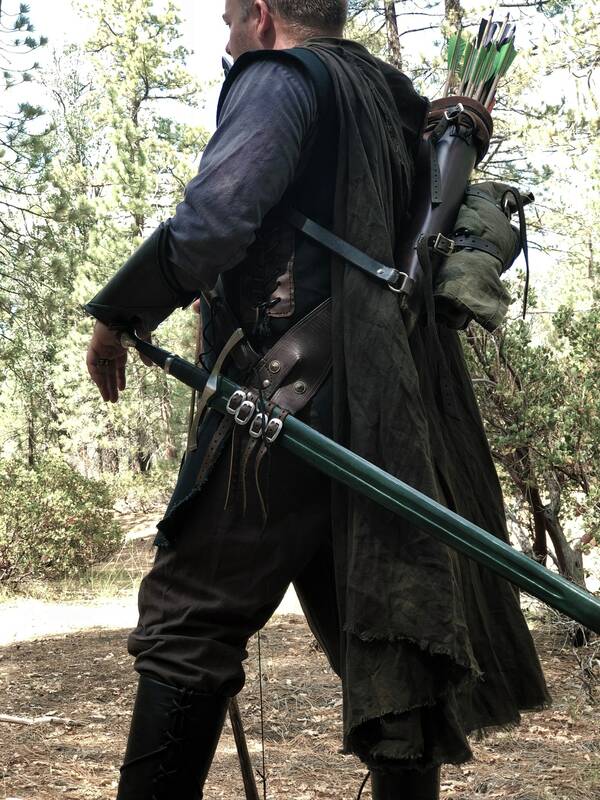 As a standard, the weather guard will be made out of black leather if you choose that option. Many other colors are available, however so feel free to message me about alternate options and we will work something out. As with everything else, customization is available, feel free to message me with any questions. My second purchase from this shop. As with the last, it's perfect. Both items arrived quickly. I highly recommend this shop. 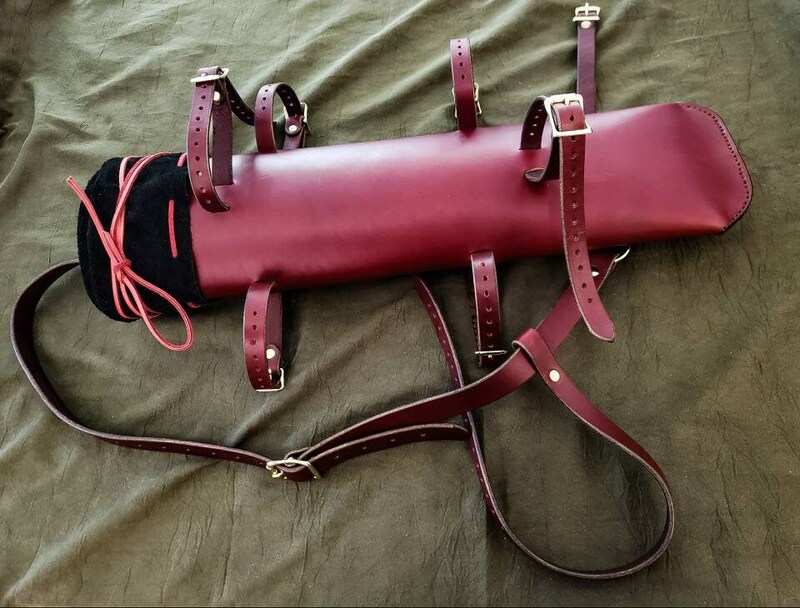 I am incredibly pleased with this quiver! 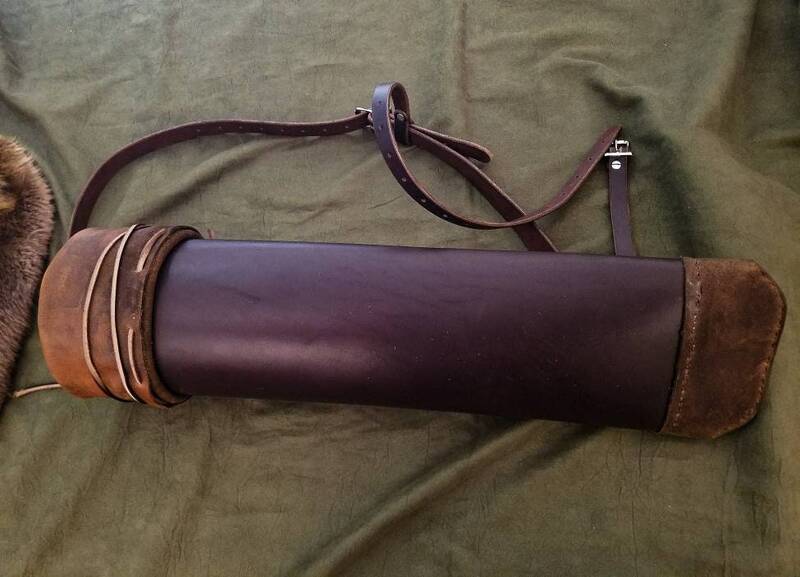 Good sturdy leather and hardware, tight stitching and handy features. Seats plenty of arrows very comfortably. I purchased an already existing model (a black with hunter green bottom and cover) and I love the slight contrast! The seller is also very helpful and great with communication. 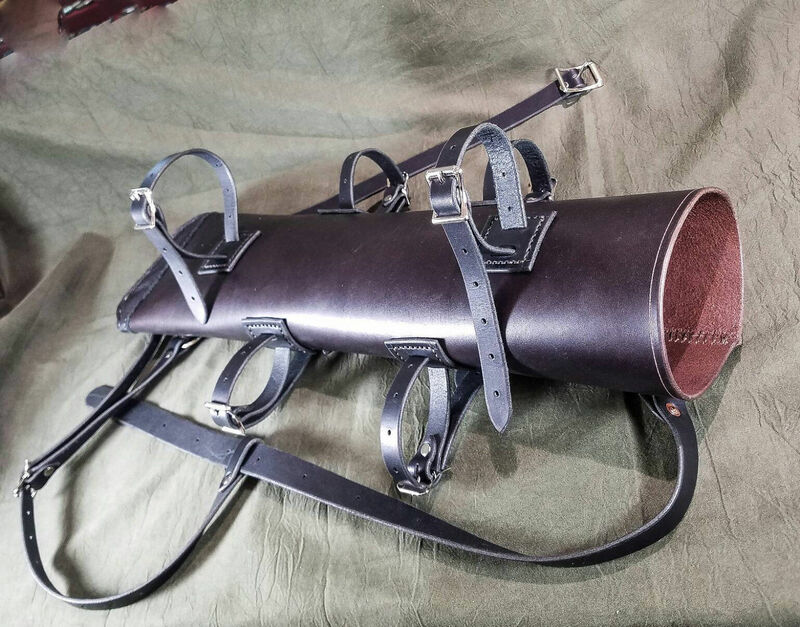 I would highly suggest this person and his goods to any other archer I know. Thank you so much!